Peter Lea-Cox launched the series at the church on Thursday 11 November 1976 at St Mary-at-Hill. The Bach Vespers series, once at St Anne & St Agnes Lutheran Church, has completed a full cycle of all Bach’s church cantatas. Two cantatas for Advent will be heard at the anniversary concert at St Mary-at-Hill at 1.05pm on Friday 11 November . Admission free; followed by a reception. The annual Fish Harvest at St Mary-at-Hill is at 11am on Sunday 9 October. 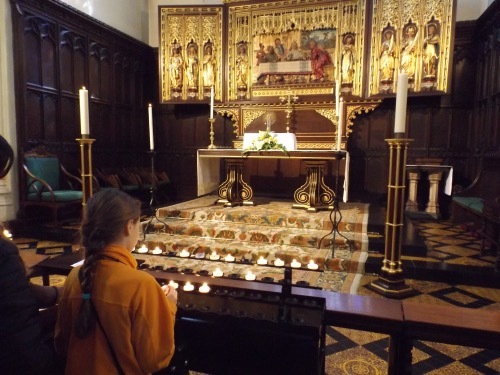 All Saints in Margaret Street W1 is one of the few churches keeping the Assumption of the Blessed Virgin Mary on Monday 15 August, the right day rather than the more convenient Sunday. Solemn Mass is at 6.30pm on Monday followed by outdoor procession to and from nearby Oxford Street with choir, brass & drum and the statue of Our Lady of Walsingham. All Hallows by the Tower, advertising itself as ‘the oldest church in the City of London’, has a new website. It has just been confirmed that the Bishop of London will be at the church for its patronal festival on Sunday 30 October. 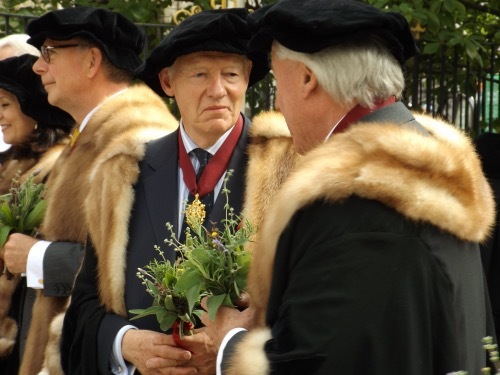 The Skinners Company in the City of London has been organising a procession on Corpus Christi since 1393. After Elizabeth I came to the throne the annual procession continued but the Blessed Sacrament is not carried. 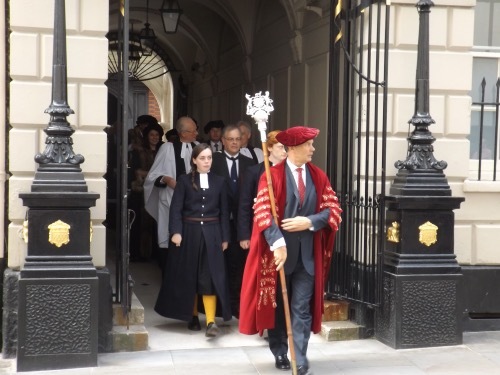 Today’s procession from Skinners’ Hall on Dowgate Street was to St James Garlickhythe for the church service. The relic of St Thomas Becket, brought from Hungary, can be seen at St Margaret’s Church Westminster today (Thursday) until 3.30pm and tomorrow Friday 27 May from 9.30am to 2pm. A relic of St Thomas Becket, a fragment of elbow, has come from Esztergom in Hungary for a week. Having been received at Westmister Cathedral today, the precious relic goes to Westminster Abbey tomorrow. 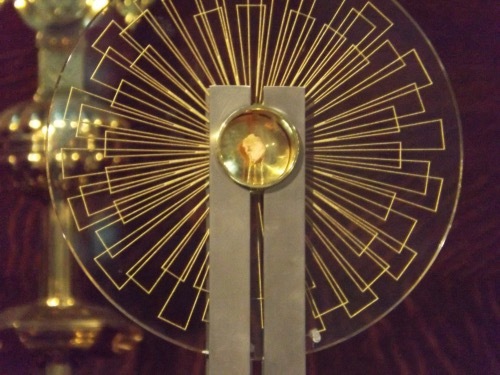 On Wednesday afternoon 25 May the relic moves to St Magnus the Martyr Church in the City of London where it will be displayed alongside the church’s own relic. The arrival is at 3pm followed later by Solemn Vespers sung to the setting by Johann Baptist Schiedermayer (1779 – 1840). St Magnus looked after the St Thomas Chapel which was in the middle of London Bridge. St Thomas was born in the City and as Archbishop visited Southwark Cathedral at London Bridge’s south end just weeks before his murder. Later this week the relic journey ends at Canterbury. The St Stephen’s Gloucester Road annual Arts and Faith festival is from Monday 6 June to Sunday 12 June. The art exhibition opens on Monday and includes a painting by Keith Noble of the South Bank trees about to be obliterated by the garden bridge. The Festival Mass is at 11am on Sunday 12 June. The setting is Mozart’s Coronation Mass. The church (entrance Southwell Gardens SW7) is open 12 noon to 6pm. Methodist minister Ronald Gibbons, who master-minded the re-opening of Wesley’s Chapel and raised its profile as the cathedral of Methodism, died last year at the age of 92. His son-in-law has wriiten a tribute in The Guardian.